I love to write. I think I almost always have. I grew up writing reports and letters. I had several pen pals. I wrote a lot and often. I wrote because writing is very cathartic and clarifying for me. 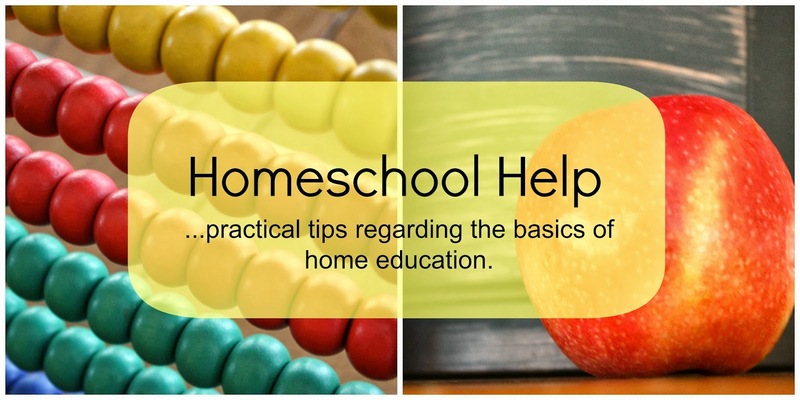 Today's homeschool post topic is "Help, My Child Hates Writing!" 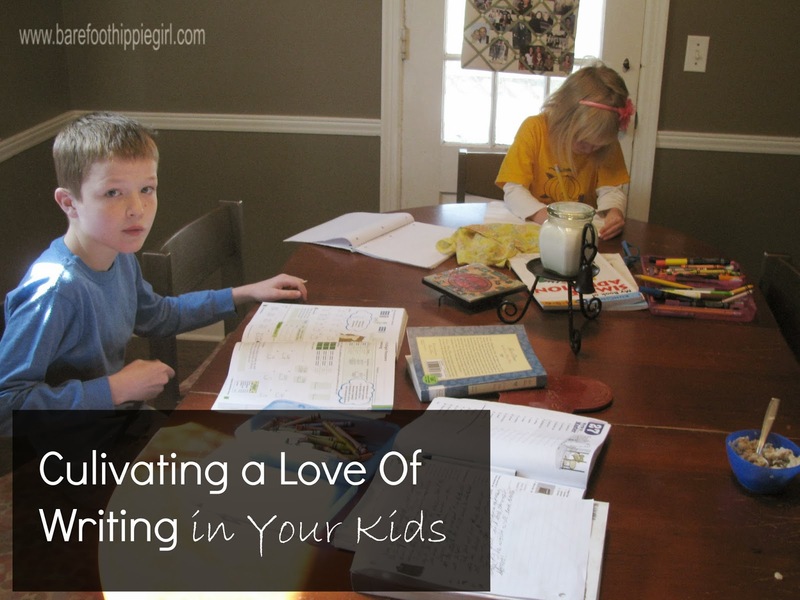 I have never hated writing and my kids really aren't given a choice about writing or not. But, I tried to think back over what my mom did with us kids to cultivate a love of writing, and what I am doing with my own kids to cultivate a love of writing. -Write a lot and write often. I have my kids write almost every day of the week. They write letters and stories and reports and answer journal questions. Some is more formal, and some is less. BJU emphasizes learning to write. In their grammar program there are writing projects every 2-3 weeks. They delve into reports (biographical, book, topical), stories, poems and more. By writing a lot, writing becomes not so scary. And, we know this too, right?! I generally write for an hour or more, 5 days a week. Generally, the more you do anything, the more you like it. -Write letters. Our letter writing is pretty informal, but it happens every week. I will assign the person they are all going to write to, and then I let them go at it. I have them self-proofread, and then read the letter aloud to me. I don't correct their letters. Pretty much, if they said more that "hi, how are you?" I let it go. By writing letters, they learning an almost lost art. Letters are conversational. It isn't only about the author, but also about the recipient. Plus, it's a win-win as someone else gets a letter in their mailbox to brighten their day. -Write stories. Either fiction or personal narratives. While I do insist on good grammatical structure and precise language in their stories, stories still provide a more laid back way to learn writing. I don't know why, but this does seem to be where their writing shines best. They do really well adding descriptive words and phrases. They can write with enthusiasm, because they experienced this thing. And with fiction, anything goes. Which makes it wild and fun, while still striving for certain levels of correctness. -Write to improve. Don't expect adult standards from second graders. It is frustrating for both of you. But, do expect better with each successive report or story. Do expect skills to be improved upon. I expect BMV's reports to be longer this year in 6th grade, than I expect from Freckles in 4th grade. I expect the mechanics to be better. I expect the thoughts to be clearer. But I don't expect him to write how I would write. There is a balance here. Our goal is to encourage a love of writing not frustrate our students because they aren't at our level. We weren't at our current level in 6th grade either. Frankly, I wasn't at my current level two years ago. -Write as recreation not as a chore. Why do I write my blog? Because I love to write. I love expressing my thoughts. We want our kids to reach this level of writing. Where they write because they love it. Where it is second nature and thoughts just flow out onto paper or the screen. -Write about interests. If they are into bugs, have them write letters about bugs they saw and caught. Have them write reports on different types of bugs. Have them compose poems and ditties about bugs. Writing about interests makes it less of a chore. -Write for an audience. Have your kids write a blog. BMV started a blog when he was 7 and maintained it for about a year. He wrote restaurant reviews from a kid's perspective. He loved getting comments back. -Write, or not. We do want our kids to learn the mechanics of writing and we do have to insist on it. But, if writing is not their thing, have them orally give a report or story. Have them research their facts, write a few bullet points and then tell you what they learned. Freckles is much more verbal than actual writing. He can weave a tale with the best of them. He can rattle off facts he has learned through reading. He has a hard time getting his thoughts as colorfully on to paper. I have him do his required reports, but less everyday writing projects. I listen to him talk about something instead. So, if your child isn't into writing, maybe adjust your requirements somewhat. Require both writing and some oral reporting. Both are good life skills. Do you love to write or does it throw you for a loop? How have you cultivated writing skills and a love of writing in yourself and/or your children?